Materials and Care: 100% Polyester. Hand wash cold. 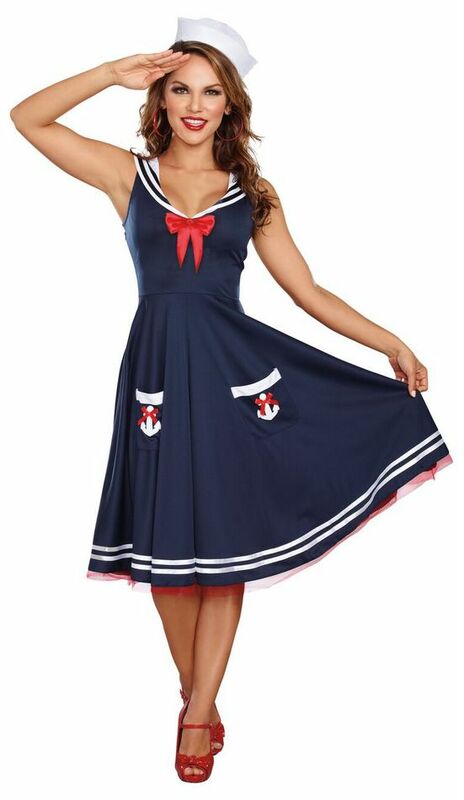 This vintage-style Women's All Aboard Sailor Costume has a sweet 1940's vibe. The sleeveless, tea length navy blue dress features a full, twirly circle skirt and a scoop neckline with white trim and a square flap sailor collar. The two cute and functional front pockets are decorated with white sequin anchors and red ribbon bows. The dress zips at the side and has red netting trim around the hem. 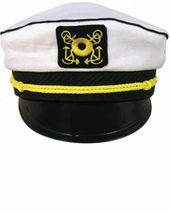 The cute white sailor hat is included!